Hi. 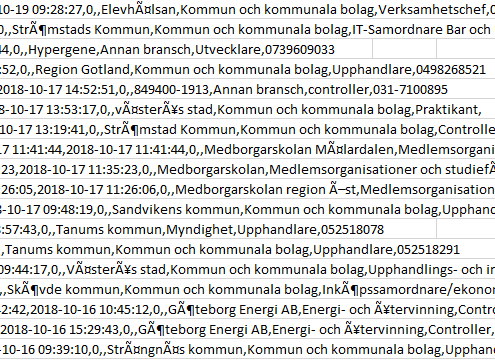 Is there a way to export users to excel and to get their names, roles and organisations with Scandinavian letters å, ä, ö plus Alt+0216 and Alt+0248? See the picture below. For Excel, one option is to first open the file in Windows Notepad, then click File > Save As. In the bottom right corner, select "Unicode Big Endian" from the Encoding menu. Optionally change the filename, then click Save. Open this file in Excel.